Bunky's Charter Boats is a family owned and operated business. Bunky's tackle shop and charter boat fishing operation occupies the longest continuously operated charter boat business in Solomons. The building and property, once owned by the Woodburn family, has been taking people fishing since around 1930. 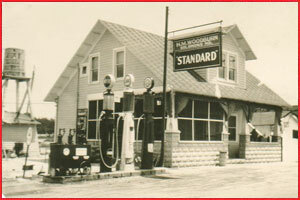 The Woodburn's practically invented charter boat fishing in 1927, when Harry A. Woodburn started a fishing party business. At the time, the tackle shop was also a grocery store and a sports fisherman could charter a whole boat for four hours for $20.00. Each charter boat was named after a grandchild of H.M. Woodburn. Captain Harry Woodburn piloted the newest fishing cruiser of her time, the “Leroy”. The “Leroy” was the center of attraction and inspired other fishing captains to build similar charter boats, which were used up and down the Bay. Prior to the 1930's, the fishing party boats were nothing more than “fantails” or skiffs and the fisherman had no protection against the elements. Very few had so much as a piece of canvas to shade the angler from the sun. Harry M. Woodburn and other family members also used the marina as a crab and oyster-shucking house. Harry Woodburn's daughter Doris and her husband Jack took over the marina and business in the 1960's, continuing her family's business and traditions. Bunky and Kathy Conner took over the marina and business in July of 1989, where they continue to carry on many of Solomon's oldest traditions. Captain Bunky, a former police officer, gained his experience in the fishing business by working as a mate for different charter boat captains. As a kid he would spend his summers in Solomons fishing and working with his uncle Bill Adams. He was also a mate for Carl Brelin in the early 1970's. Later, Bunky received his captain's license and ran the charter boat “LU-LU”, owned by Carl Brelin. 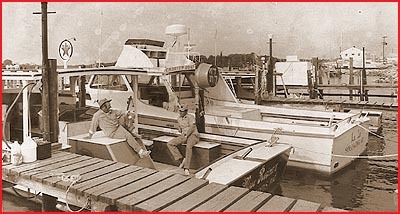 Bunky purchased his own charter boat in 1978 and named the boat the “Kathy C”, after is wife. Before joining her husband in their fishing business, Kathy worked at a car dealership full-time while being a housewife and raising three kids. 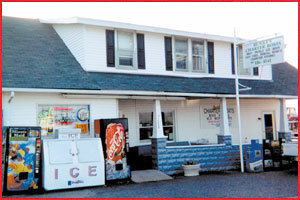 Bunky, along with his dad Boots and others, shucked oysters through the winter while Kathy operated the store. Today, the marina is home to the only working oyster house left in Calvert County . As time passed, two more charter boats were added to the business. In 1992, Bunky and Kathy bought the charter boat “Marchelle”, which runs as the Head Boat and as a private fishing charter boat. The “Red Osprey” was purchased in 1999 for private charters, completing “Bunky's Charter Boats” current charter boat fleet. . . the “Kathy C”, “Red Osprey” and “Marchelle”. During the summer, the store is busy bagging bait to sell, fishing rigs are hand-made to order and Bootsy keeps the crab house busy shedding peeler crabs into soft shells. The crabs are then sold to local restaurants and tackle store customers. Fishing tackle can be found displayed from one side of the store to the other. Fish stories fill the store daily, while some secrets remain closely guarded, and the fish cleaning stands are busy by noon to fillet the morning catch. Available year-round and located across the street from the marina and store, “Bunky's Charter Boats” also offers a chance for you to be your own captain for the day. 18 rental boats are available to fish, crab, and cruise the Patuxent River . “Bunky's Charter Boats” has everything a fisherman needs to enjoy fishing the Patuxent River and Chesapeake Bay . They are seconds from Route 4 and easily accessible through Solomons harbor by boat, with docking available at our Fuel Pier.